Mini has rolled out the updated John Cooper Works Countryman and the new car has 228 hp. That is the most horsepower ever crammed into a Mini and that power is coupled with standard all-wheel drive. 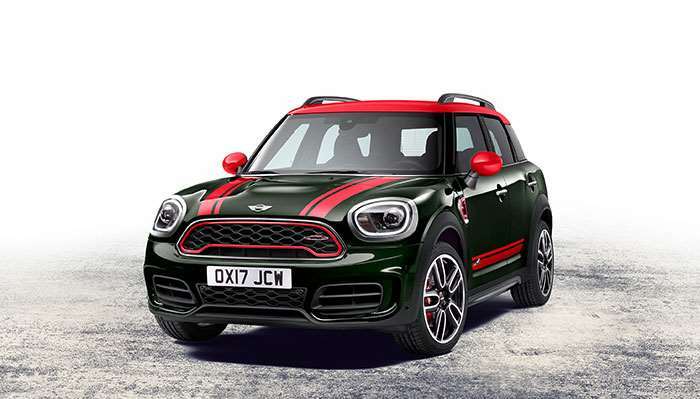 Mini says that the new JCW Countryman can reach 60mph in 6.2 seconds with a 6-speed manual or the optional 8-speed auto. The car is also fitted with special 18-inch JCW alloy wheels and Brembo brakes. Other features include Mini driving modes, LED headlights, and a 6.5-inch infotainment screen. The body of the car has a JCW aerodynamics kit with large front air inlets and special sport seats inside. The car can seat five people and is a four door car. The car also gets more luggage space compared to the outgoing model. The JCW Countryman will launch this spring and will be in dealerships in April. Pricing is unannounced at this time.